Some people use Siri all the time, but if you’re anything like me, you consider your iPhone voice assistant pretty useless. That’s about to change in iOS 10, which we expect to roll out this month, and Apple is highlighting all the ways Siri is going to change your life. OK, maybe the changes aren’t that dramatic, but Apple is opening Siri to third-party developers with iOS 10, and the company offered a preview this week of how early partners are putting your iPhone’s personal assistant to work. To start, SiriKit only supports six categories of third-party apps: photo search, workouts, ride-hailing, payments, messaging, and audio/video calling. If you were expecting to use Siri to manage your Spotify playlists or your to-do lists stored in apps outside of Apple’s native Reminders and Notes apps, you’re going to be disappointed. But searching for images in third-party apps like Pinterest, Looklike, Vogue Runway, and Pikazo is about to get a whole lot easier, as Apple demonstrated in a Wednesday blog post. First, you have to be specific. 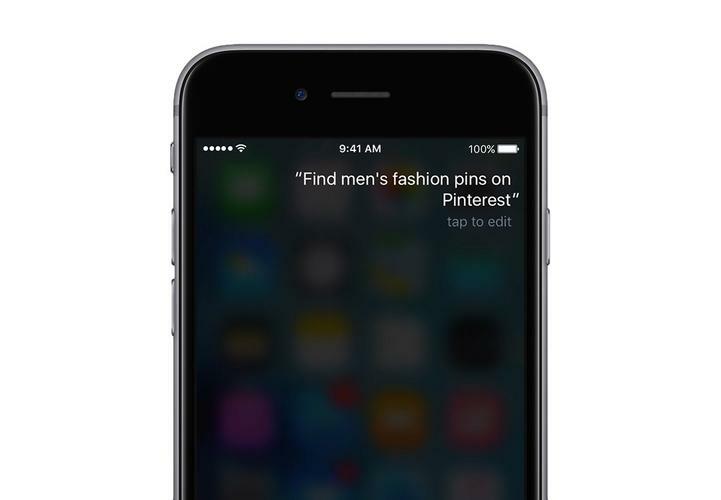 Use the name of the app in your Siri command so you get results from the right place. “Find men’s fashion pins on Pinterest” will pull up, you guessed it, men’s fashion pins on Pinterest. “Show me pictures of what Drake was wearing at the MTV Video Music Awards in Looklive” will show those images, which you can then shop in the app. Don’t be the friend who forgets to pony up cash after a group dinner. 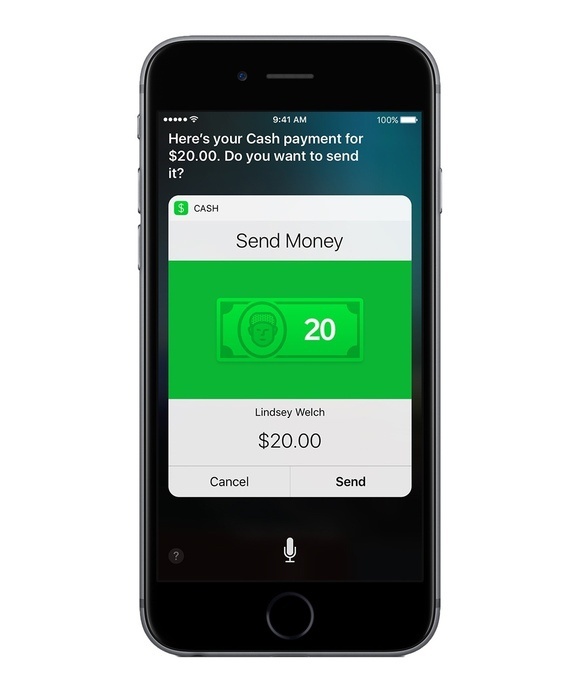 In iOS 10, Siri works with payment apps, including Square Cash and Monzo, so you can use a command like, “Hey Siri, send Susie $20 using Cash” without opening the app, finding Susie, and entering a dollar amount to send. There is an extra step: Siri will display a confirmation card on your screen, so you have to tap “send” to make sure the transfer goes through. But still, it’s quicker than launching an app. Monzo adds a layer of security by authenticating your payment with Touch ID, so not just anyone can grab your phone and command Siri to send money. 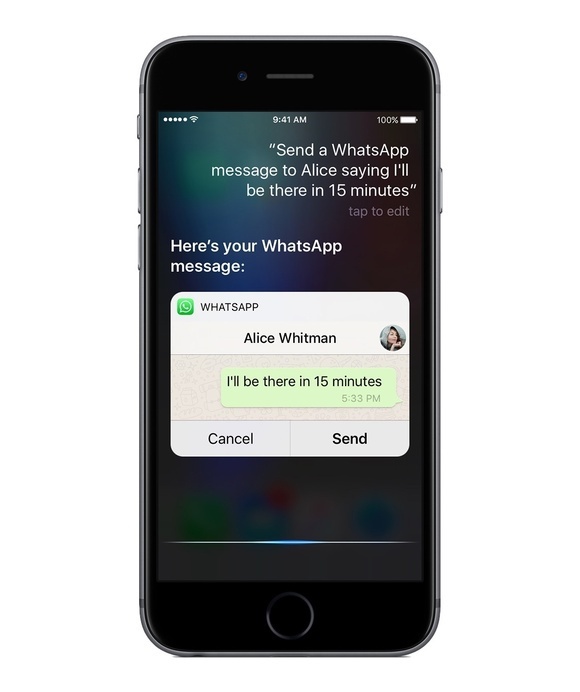 WhatsApp and LinkedIn are both on board with Siri when iOS 10 launches, so sending messages on either platform is just as easy as using Siri to send texts using the native Messages app. “Send a WhatsApp message to John that says…” or “Send a LinkedIn message to Alice saying…” and proceed with your sentence. Just like with image search and payments, sending messages requires specific language when you’re enlisting Siri’s assistance. Be sure to use the app name and the full name of the person you’re sending messages to (if you have multiple people with the same first name in your contact list) to avoid any potential for embarassment. Siri will preview the message for you so you can edit details before you tap send. Using Siri to message people in public, or search for photos and send payments, may annoy those around you, so be aware of your surroundings.